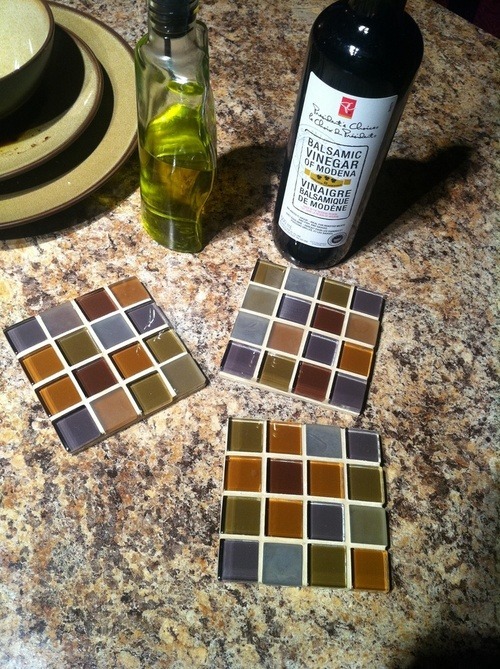 What do you with all those tiles you have leftover from your last tiling project? We have a few clever ideas that you might want to try out. Coasters: These are smaller than place-mats, and are even simpler to make on one’s own.They can be used to lighten up stuffy dinning tables by adding a quirky flair to the entire dinner ensemble. For this,all you’ll need is to wrap the desired tiles in a cloth(as a safety measure) and hit the tiles with a hammer. What this will do is that it will help break the tiles into smaller pieces, because ideally, you want the coasters to be as small as possible. To create a professional finish,and to prevent from damaging the table surfaces with scratches, glue some felt on the underside of each tile. In the end, they should appear as below. Donate: Giving away the excess tiles could also be an option. 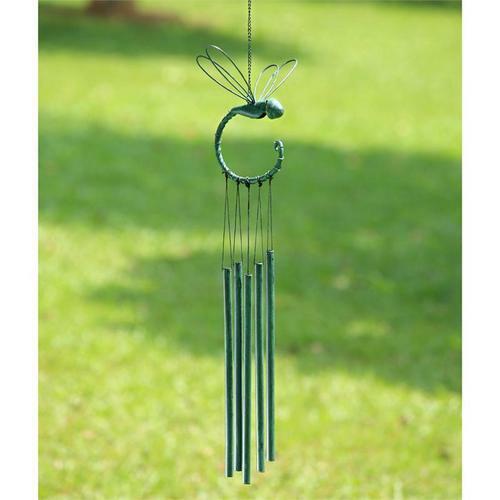 Not only does giving help you de-clutter your life-creating more space- it also helps you enrich another persons life. A good place to donate to would be a children’s home. Especially one that does not often receive much attention. 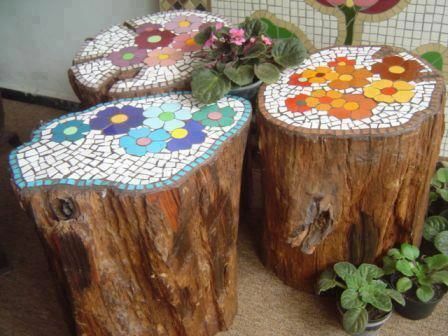 Tree stump mosaic table: Additionally,you could attach mosaic tiles to the flat surface of a tree stump to make a unique stool or side table. We’d recommended varnishing over the tiles to create a smooth, clean surface once you’ve stuck down your tiles . In the end, the above mentioned ways are not the only ways in which left over tiles can be used.Uniquely tiled spaces are guaranteed to stand out, so go ahead and create that beautiful space.